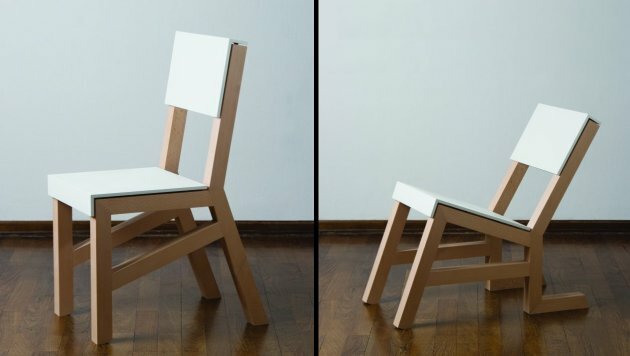 Collection of 'Modern Chairs and Unique Chair Designs' from all over the world. Relegs Chair: This creative chair is designed by Jennifer Heier. 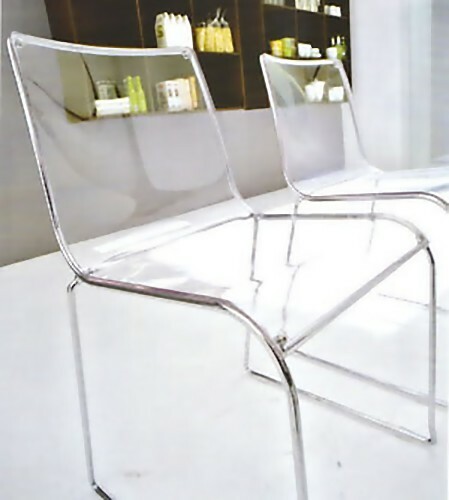 Armchair: Designer Filippo Gezzhani designed this modern chair for The Home Key's Simple Collection. 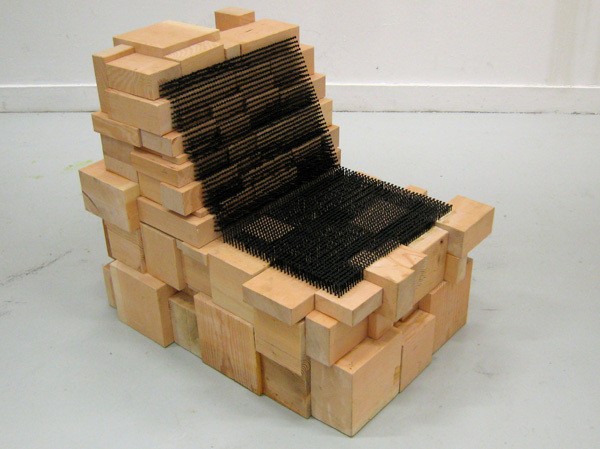 Screws Chair: Unusual chair by Revol Design made from pieces of douglas fir and 3,726 drywall screws. Alright Chair: Creative rocking chair by J Riehl looks like a cool addition to any room. 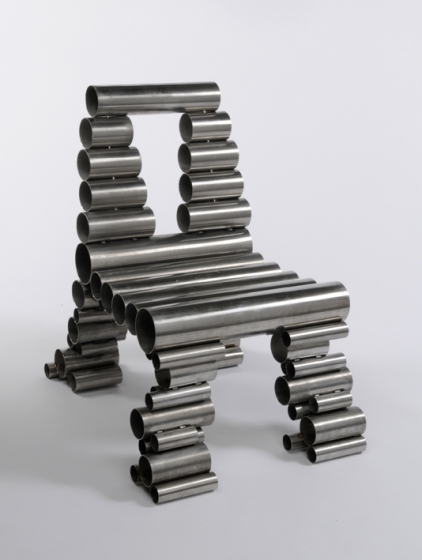 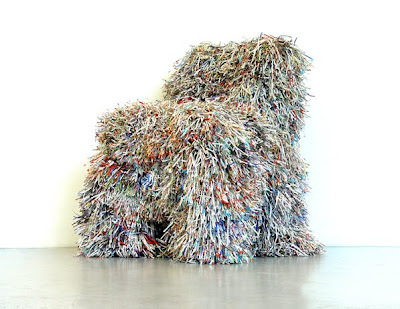 Tubes Chair: Cool chair made from stainless steel tubes sourced from reclamation yards. 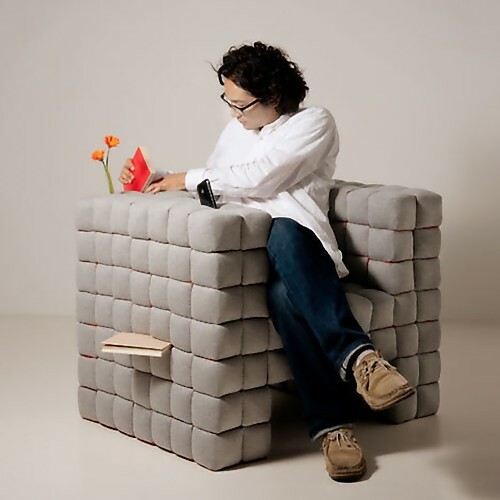 Armchair by Daisuke Motogi Architecture: Items can be stored in between the upholstered cubes that form the seat. 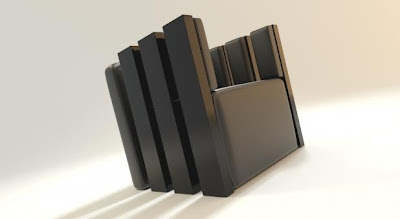 Flip: Its designed to look as if it has been made from the tops of two chairs but it uses the wall to support it and when flipped over can be adjusted in height. 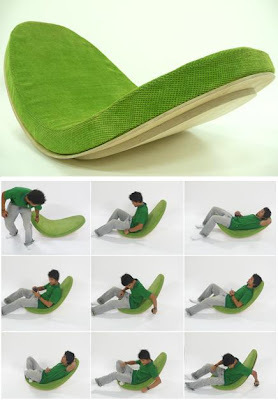 Foam Chair: Creative tofu-shaped chair designed by Yu-Ying Wu. 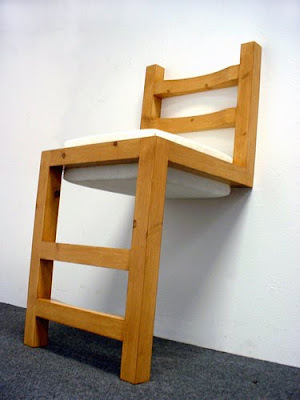 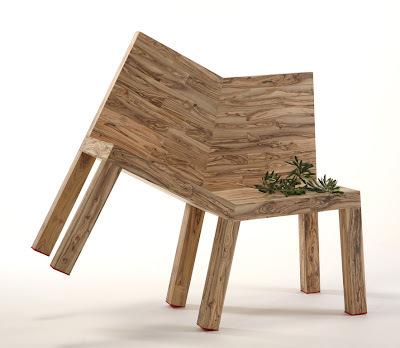 Aviad Gil's Chair: Made by designer Aviad Gil, its crafted from olive wood. 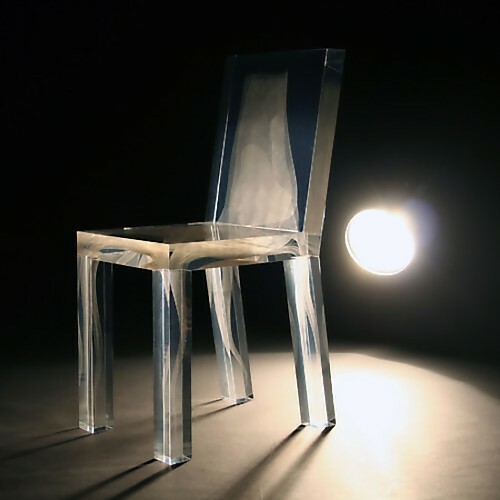 Plexiglass Chair: Ralph Nauta and Lonneke Gordijn designed this cool plexiglass chair. 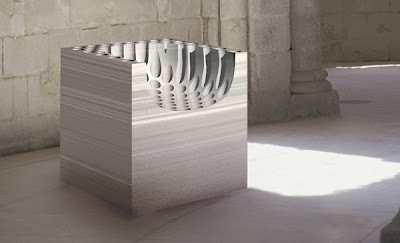 Sticky Note Chair: Creation of Polish design team razy2, 'Q-Book' is composed of sheets of paper, carefully crafted, that are attached on one side. 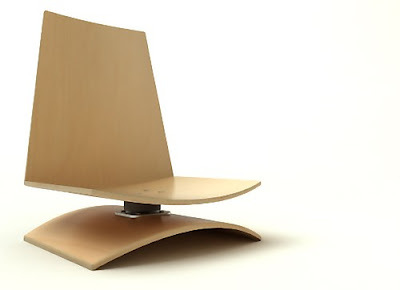 Charles Kaisin's Chair: Creation of architect/designer Charles Kaisin, this is made from very fine paper. Transparent Chair: The Calligaris iron chair is a structure in metal and transparent plastic. Don't miss to check out "Modern Chairs and Unique Chair Designs: 1| 2| 3| 4| 5."